Home >> Generated from JAN's SOAR Information System on 4/26/2019 3:41:08 AM. The #70 Lectern Stand is a reliable and inexpensive option with a practical application in virtually any public speaking venue. It features a black 16-gauge steel base which adjusts from 30-44" high to suit any speaker's stature. A generous 16" x 20" reading surface for presentation materials features protective T-mold edging and a helpful paper/book stop. 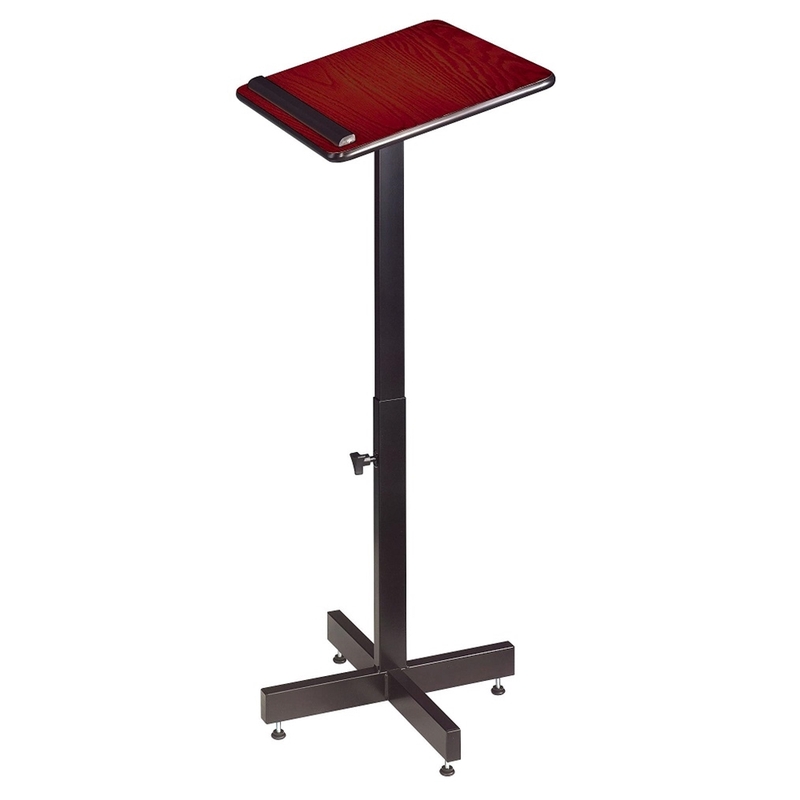 This Lectern is available in Wild Cherry, Mahogany and Medium Oak. Assembly required.